Are These The 2015 Air Jordan Retro Releases? 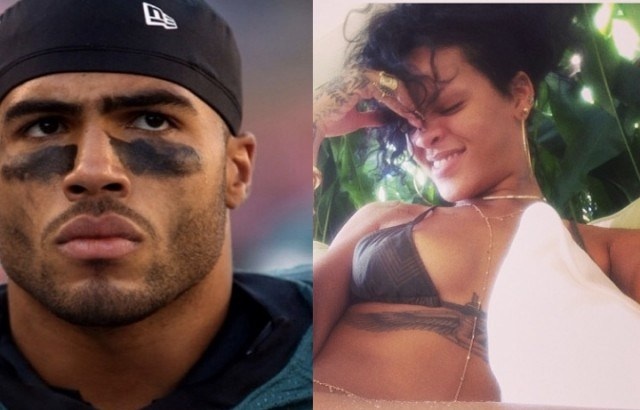 Rihanna created quite a buzz when she posted Eagles linebacker Mychal Kendricks as her #ManCrushMonday on Instagram. Since then Kendricks has followed Rihanna on Twitter and Instagram and says he tried to reach out to the Bajan pop star but so far she won’t return his calls. Mychal appeared on 106 & Park with his teammate DeSean Jackson and Steelers linebacker LaMarr Woodley. During the show they gave Kendricks an opportunity to deliver a message to Ri Ri and he wanted her to know he’s in New York for the weekend (Rihanna lives in New York). We haven’t been in contact, nothing’s changed. I’ve got a couple followers but I’ve haven’t really been in contact. I’m in New York, it’s Super Bowl Sunday. Hi Ri how you doing? New York. Shaina Auxilly is a journalist for The Source and a sports blogger for InFlexWeTrust. You can also follow @Shay_Marie for sports updates and more.